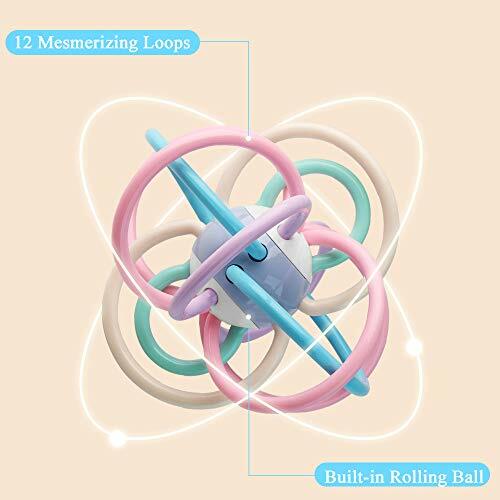 ★ Well-Rounded Developmental Toy - Our twisty toys are colorful, fun, and educational! They set up the foundation for newborns' problem-solving skills along with their fine motor skills and add to sensory development through touch, hearing, and smell. 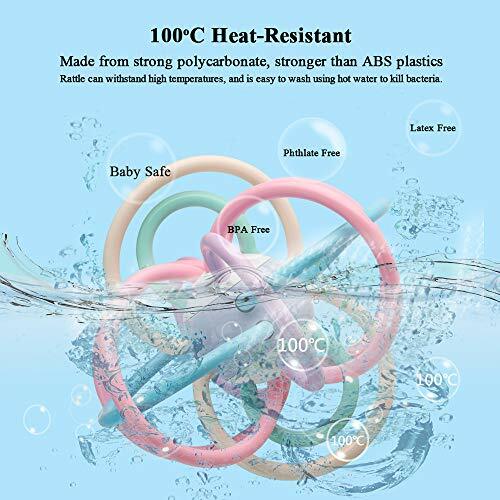 Its rubber rings are perfect for gripping or chewing. 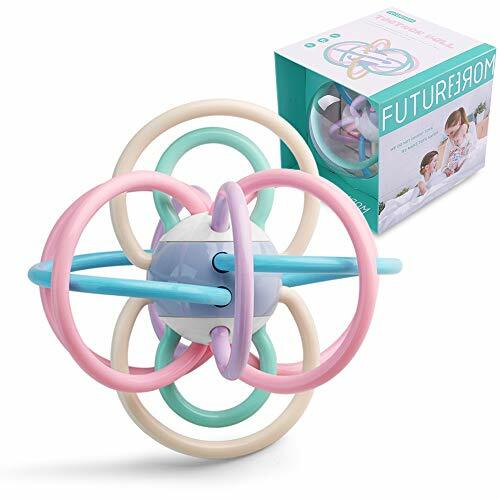 Give your babies the best foundation for a bright mind and a bright future with one of our rattles! 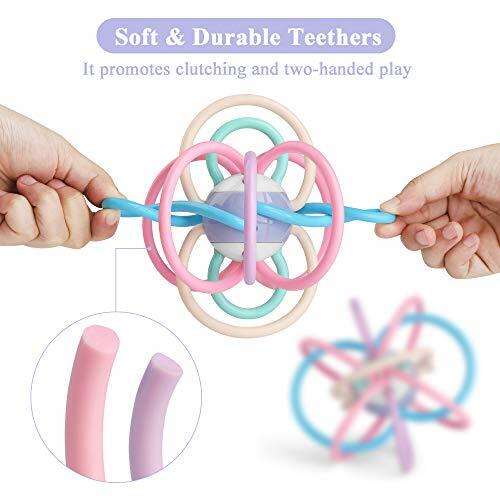 ★ The Perfect Choice for Teethers - Our rattle and teething balls are made of soft, chewable rubber that is safe and gentle on your baby's gums and they'll love to snuggle with for hours! The colorful rings are perfectly sized for your little munchkin's grasping fingers. Place it in the refrigerator or freezer before playtime for a cool and soothing sensation that helps once teething pain starts! ★ Makes An Excellent Gift - Lots of people give blankets or diapers for new infants, stand out with one of our rattle and teething balls at your next Baby Shower! They also make excellent stocking stuffers for Christmas! The bright colors and pleasing sound are sure to delight any child! ★ Tested for Safety and Highest Quality - At FutureMore, our products must go through a rigorous testing process before being sent to your home. 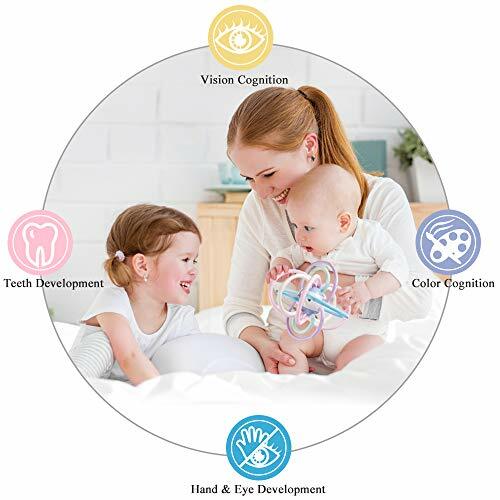 Our rattle and teething ball is made specifically for newborns to teething children, up to 1+ years old. 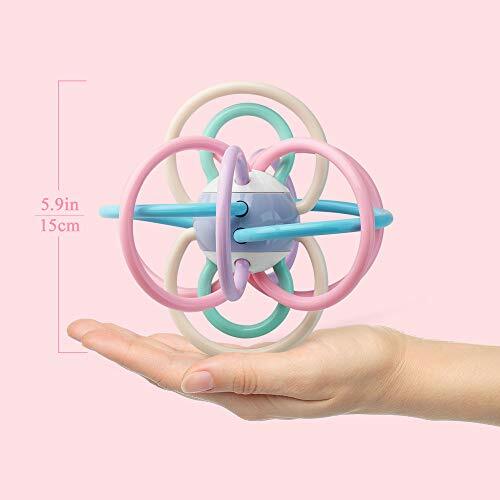 Made from 100% natural silicone rubber, our toys are entirely BPA and PVC free, and colored using non-toxic dyes. We make each of our items with the same care and attention to detail that we would give to toys for our own kids! ★ A Stand-Out From the Competition - Sized at 5.9 inches in diameter, our teething rattles are larger than the competition's! With a larger toy, your child has more to explore and more space to cool their sore gums. Also unlike other rattles, our products are made from durable rubber that can withstand extreme temperatures (100 Celcius and under) that makes clean-up a breeze! Simply pour hot water over the toy to kill bacteria and it's ready for the next play time!